Depression is as complex as it is devastating. This disease affects one out of every 6 people at some point in their lifetime. Incorporating both mental and physiological elements, there are many factors that can contribute to the development and recurrence of depression. Though it is still not fully understood, here is what we currently know about the causes of depression. It is normal to feel depressed when you have experienced a loss, have gone through a traumatic experience, or are otherwise undergoing a significant amount of stress in your life. In general, these feelings of sadness, grief, or anxiety come in waves and fade over time. The actual condition of depression, or major depressive disorder, occurs when depressive feelings or behaviors persist for longer than two weeks and affect your daily quality of life. Tragic, traumatic, or stressful events can lead to the onset of depression, or to its recurrence. The death of a loved one, losing a job, surviving a physical assault, or experiencing a major disaster can be precipitating events. Periods of high levels of stress, such as major life transitions, an abusive situation, or a physical illness for yourself or a close family member can also trigger his disorder. Depression is more likely to occur if a person has not developed good coping skills for managing stressful events or situations. The ways that your brain controls your body, sends and receives messages, and manages feelings are intricate and complex. Your cortical neurons (nerve cells) use a variety of means to communicate with each other and the rest of your body. Sometimes they use electrical impulses, which travel along nerves to send signals. Neurons also communicate with neighboring cells by secreting chemicals called neurotransmitters. Neurotransmitters regulate a variety of emotions and mental processes. Several of these control feelings of happiness, reward, pleasure, and other positive emotions. An imbalance in three neurotransmitters in particular can cause mental disorders such as depression: these neurotransmitters are serotonin, norepinephrine and dopamine. When insufficient amounts of one of these are produced, or when they are reabsorbed too fast, concentration drops and signaling becomes disrupted, leading to depressive feelings. Serotonin: Also known as 5-HT, serotonin is a small organic molecule with many functions. These include creating feelings of happiness, but serotonin can also play a role in learning, memory, and decision-making. Neurons secrete serotonin throughout the body, where it then crosses the synapse (junction between two neurons) and binds to special receptors on neighboring cells.4 Low levels of serotonin, or defects in its receptors, have been found in people with depression. Some antidepressants, called serotonin reuptake inhibitors (SRIs), work by slowing the rate that serotonin is reabsorbed by cells. This results in higher amounts of serotonin in the synapses between neurons. Dopamine:Dopamine is another small organic molecule that the brain and kidneys produce. This chemical is what drives motivational behavior and causes feelings of reward and pleasure. Low production of dopamine is linked to several neurological disorders, including Parkinson’s disease and Schizophrenia. It can also contribute to the low levels of interest or motivation felt with depression. Norepinephrine: Also called noradrenaline, norepinephrine is also a small organic molecule related to another well-known hormone, adrenaline (epinephrine). Throughout the body, norepinephrine levels spike during times of stress to drive the “fight or flight” response. Within the brain, norepinephrine promotes alertness, attention, arousal, and memory. Norepinephrine levels are low in patients with certain neurological disorders like Parkinson’s disease or Schizophrenia, possibly due to faster breakdown. Like serotonin-targeting drugs, a class of antidepressants known as norepinephrine reuptake inhibitors (NRIs) increase the concentration of norepinephrine in the synapses. Genetics: People have a higher risk of developing depression if a blood relative of theirs also has it. Many genetic mutations have been identified which can contribute to depressive symptoms. These can disrupt the mechanisms that produce neurotransmitters, or alter the shape or function of receptors. Inflammation:A newer finding is that chronic, low levels of inflammation in the central nervous system can lead to depression. Inflammatory markers in the brain may disrupt neurotransmitter signaling, which decreases the production of serotonin and dopamine. Hormones: Changes in your hormones can also affect neurotransmitter signaling in your brain, which can lead to the onset of depression. Major hormonal changes following childbirth (or during menopause/andropause) can cause depressive symptoms. Abnormal thyroid hormone levels or high levels of stress hormones like cortisol can also cause depressive symptoms. Medications: Some medications can alter neurotransmitter signaling as well, and can cause depression as a side effect. Such drugs include beta blockers, the acne medicine isotretinoin, certain anticonvulsants, and hormonal medications including contraceptives. 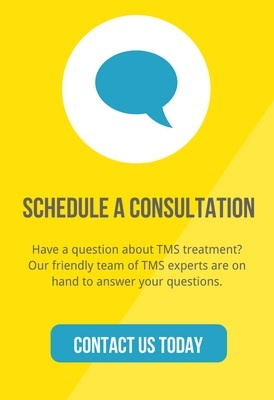 Achieve TMS is the leading provider of Deep Transcranial Magnetic Stimulation depression treatments. With over 800 patients treated and countless success stories, we’ve brought hope back to those who have been suffering in silence." Leave us your email and we’ll keep you updated.